Colorful assorted foods are beautifully served on the dimmed iron glazed plate. The fresh color of the food stand out on the black iron glazed plate. 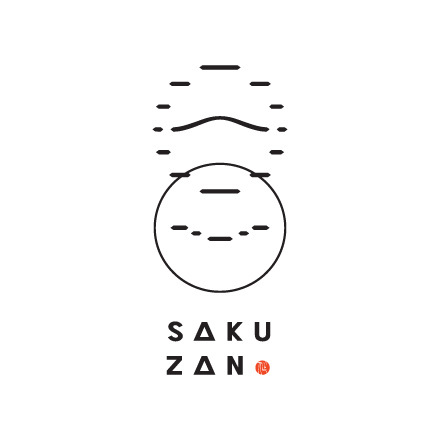 This plate, which makes the food stand out, was produced by Maruzen Kagaku Inc. It was founded in 1898. 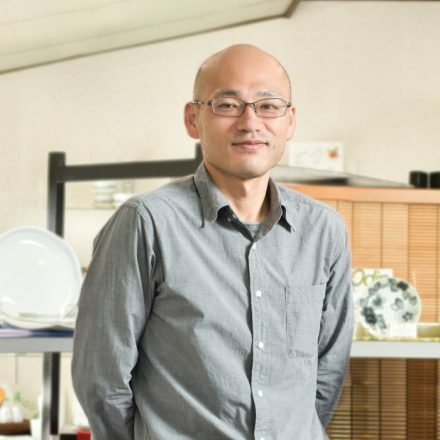 They produce tableware, using technique for Minoyaki the traditional industry of Toki city, but actually they are a special manufacturer producing special tiles for interior and exterior. 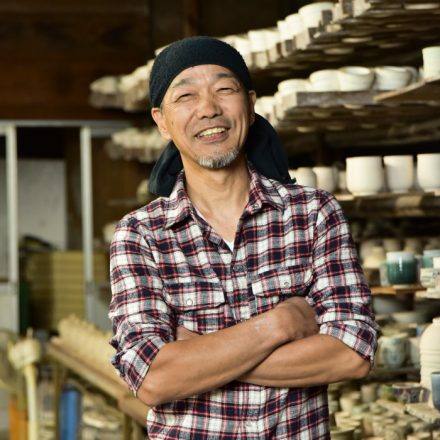 Senkuro Mizuno the founder of Maruzen Kagaku Inc. started to produce pottery as its beginning, mainly he made the bottle and the cup for Sake, also the green tea bowl with Shino glaze and Oribe glaze which is the traditional pottery. 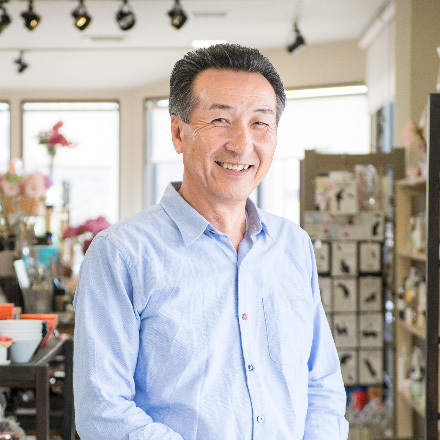 Going into the Showa era, using tiles in the kitchen and bathroom had spread to the ordinary home and looking toward the future, Mizuno drastically turned around his business. 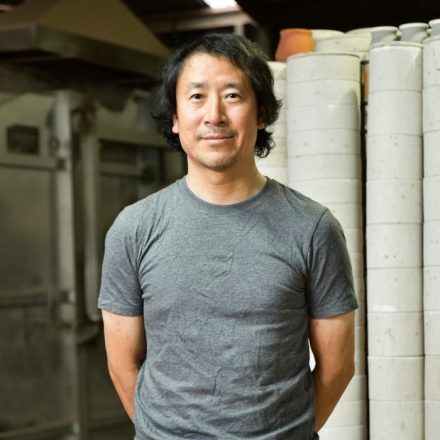 He started to produce tiles using technique of pottery. 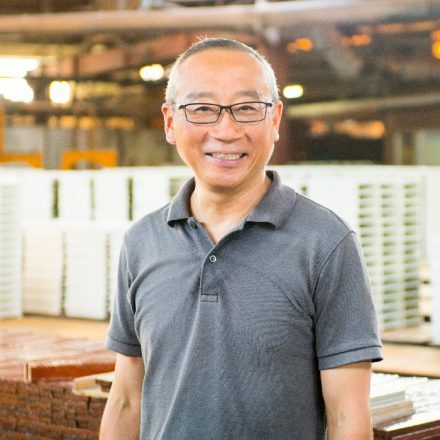 Afterwards he introduced a kneading machine for mixing soil, which then made his tile business grow to 80% and leading him to change direction to focus on his tile business and become known as an Interior/Exterior Tile Manufacturer. In 2012 came a turning point and were faced to make a big decision. Due to a revision of the Building Standard Laws, Tiles used for exterior walls would need to be inspected every 10 years. This would make the builders’ maintenance costs increase, so it was expected that the demand for such tile construction would decrease. 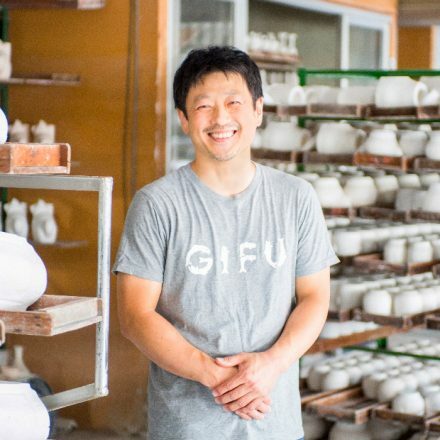 It was then that 4th Generation Toshiaki Mizuno decided to once again focus the business on pottery production. While Ash tray products were the main line of products, they came up with producing their own branded product with a creative aspect to it. Once the decision was made, they immediately hired a pottery designer. 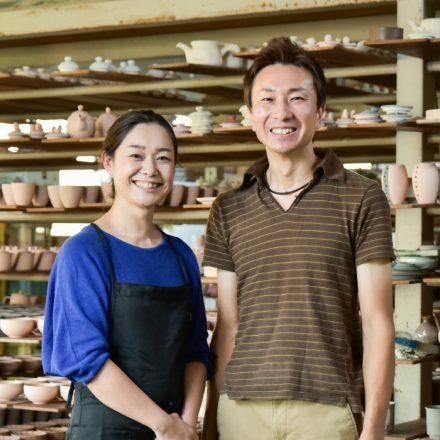 They started to develop product that would change the image of the mass produced Minoyaki pottery, and a product that uses a more modern arrangement of the traditional technique to produce a pottery that is not for everyday use. The concept was to beautifully place the seasonal dishes. 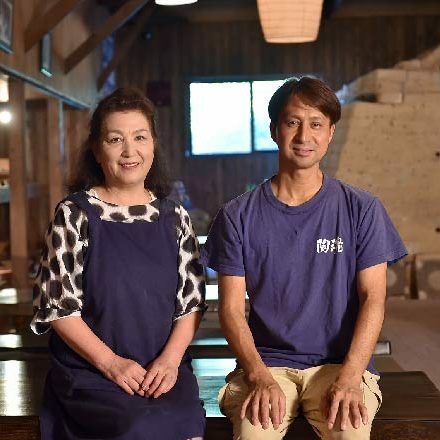 They visited high-class Japanese traditional restaurants in Tokyo and Osaka to study what kind of dishes make the food look appealing. They also thought to create a product difficult to be copied by others, which led to using their professional Tile production techniques. 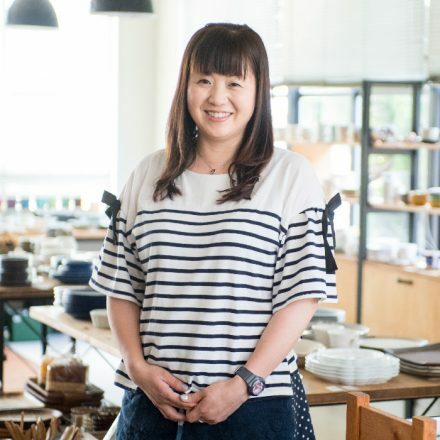 Usually for Minoyaki, making a square is difficult, it is possible to shape it but by the time you dry it the corners start to break and crumble. That is where their years of tile production technique helped. After two years they produced “Setsugetsuka –Oboroyo-“, it is a large square dish with an iron glaze giving it a feeling of depth. Until then it was mostly round dishes but this dish was the first to be squared. 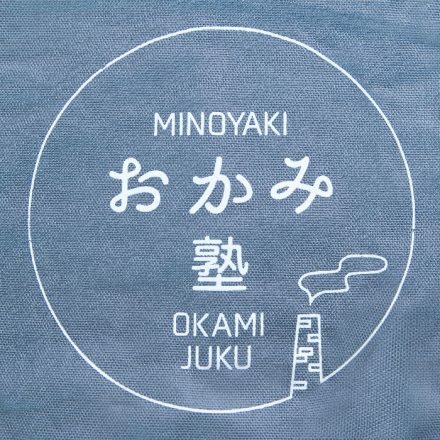 Using soil from Minoyaki region, they mixed their own original soil with 13 types of stones and designed so after it was fired in the kiln it would leave a texture of the soil. They used Slab building Technique adequate for making thin and plate shapes and finished molding each by hand one by one. After the dish is shaped, it is fired in a 1300℃ kiln in a neutral fire, between reduction fire and oxidization fire. In this way, there is a temperature change giving it uneven baked areas, adding some character to the final product. The handmade traditional Minoyaki and tile production technique, allowed creating the unique design of the “Setsugetsuka”. It is now a top seller with orders coming in from famous resort hotels. 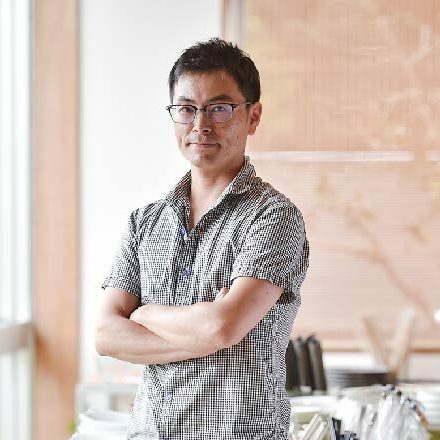 “Minoyaki has a cheap image, which has come due to being able to mass-produce and be able to make any product. 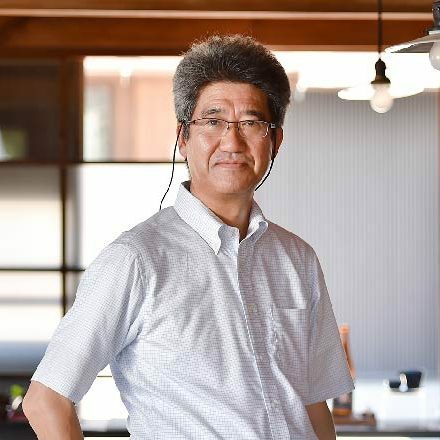 I want to change that image as a company of Toki City.” Being able to produce anything is a benefit of Minoyaki, at the same time it is a weakness says Mizuno. The path he chose was not to fall into price competition but rather make one of a kind product. He perseveres to care for shape, texture and flavor. Mizuno looks content, this may just be what raises the value of Minoyaki and has faith in this decision.